Provide comfort for the family of Deltasue Smith with a meaningful gesture of sympathy. 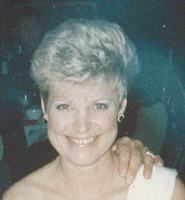 DeltaSue Mankin Smith, 71, born 21 August 1947, went to Heaven on 7 February 2019. Her husband, son and 3 granddaughters ministered to her as she passed over to her celestial home in Beulah land. A native of Coleman, Texas, DeltaSue was the daughter of Earl and Jane Mankin. DeltaSue graduated from Coleman High School and attended West Texas State in Canyon, Texas. She went on to carve a path in the insurance industry. She worked as a sales woman and policy training specialist in the accident and disability income market with Combined American insurance. She won numerous awards for exceeding production goals and quickly became an executive member of the company’s training staff. Later she helped start TLC insurance, which focused on cancer protection insurance. At TLC she again excelled in building the policy training department. She was well known for her integrity, caring, common sense and discernment. She chose to leave the insurance world and see the world as a Marine wife. As a Marine wife, she travelled to various locations such as Japan, Korea, Hawaii, and Okinawa. She was a homemaker and care giver with the ability to give a healing touch to a person in pain. She was gracious and had the gift of hospitality and was often complimented for her special charm in providing an entertaining environment. DeltaSue lived a life of being a doer. Her mantra was Action Speaks Louder than Words; Be Truthful and Do the Right Thing. The grace and truth reflected in her life was a joy to many and will be missed by all. To send flowers in memory of Deltasue Smith, please visit our Heartfelt Sympathies Store. We encourage you to share your most beloved memories of Deltasue here, so that the family and other loved ones can always see it. You can upload cherished photographs, or share your favorite stories, and can even comment on those shared by others. Provide comfort for the family of Deltasue Smith by sending flowers. God promise to bring those who have fallen asleep ,in death Acts 24:15.so soon this kind of pain will be the thing of the pass Revelation.2@:3-5.may these scriptures bring you comfort in this difficult time. My condolences to the Smith family during this difficult time. In the Bible, Jehovah God gives us hope. Acts 24:15 says, “there is going to be a resurrection of both the righteous and the unrighteous.” Revelation 21:4 says, “and he will wipe out every tear from their eyes and death will be no more.” Very soon we will see the fulfillment of these promises here on Earth. We hope you find comfort in God’s promises.